Armistead’s reward ad provided descriptions of the Army deserters. In a note at the end of his 1800s newspaper reward ad, Armistead asked all of the newspapers in Georgia, North and South Carolina to print “this advertisement six times” and to send him the bill. 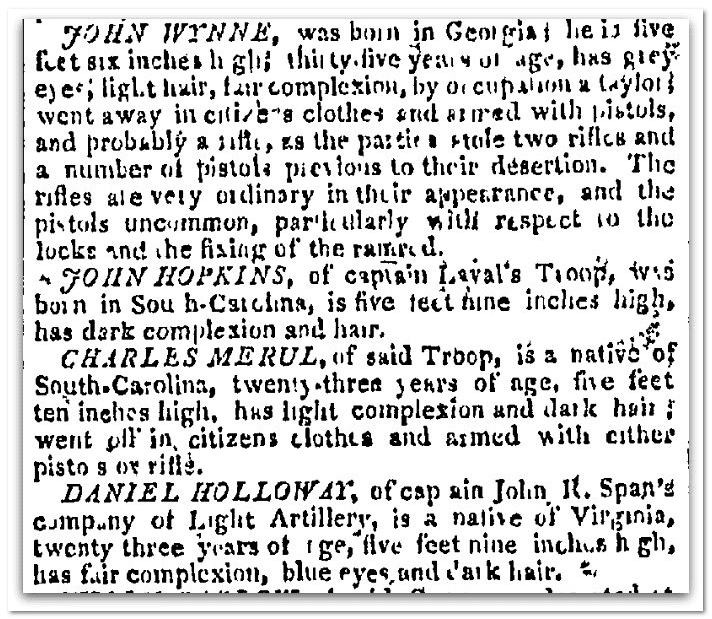 Old newspaper reward ads like this one, published in an attempt to reclaim military deserters, can be rich sources of genealogical information—often providing the names, origins, ages and physical descriptions of the missing soldiers. Historical newspapers had all the news of the day. Every day I am surprised by what I find doing genealogy research in the archives!